Applied behaviour analysis (ABA) is the science of human behaviour. It is an objective field that focuses on evaluation and reliable measurement. Interventions are designed, implemented, and evaluated systematically to improve behaviours that are important to society. adjustments are made, as needed, to maintain and/or increase the effectiveness the intervention. From an article published as “Who’s a Naughty Parrot Then?” in Veterinary Times, (UK) 18th Feb 2008. This article looks at the most common behavioural problems in companion parrots. Some of the apparent causes of these problems are discussed, as well as the ease with which animals with complex needs can be acquired. The use of applied behaviour analysis in behaviour modification is also discussed. Eileen Gambrill, School of Social Welfare, Haviland Hall, University of California at Berkeley, Berkeley, CA 94720, USA. Review these articles, tips and websites to better understand your parrot. 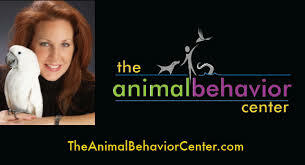 The Animal Behavior Center is new but not new to the world of animal behavior and behavior modification. We are an educational center located in NW Ohio for all people interested in animals and increasing their relationships and quality of care through positive reinforcement interaction. We promote and focus on force free training and interaction with animals not only through positive reinforcement training, but understandable approaches and applications in behavior analysis. Dr. Susan Friedman is a psychology professor at Utah State University who has pioneered the application of Applied Behavior Analysis (ABA) to captive and companion animals. ABA, with its roots in human learning, offers a scientifically sound teaching technology and ethical standard that can improve the lives of all learners. Students from 22 different countries have participated in Susan’s online courses, Living and Learning with Animals for Professionals and Living and Learning with Parrots for Caregivers. She has written chapters on learning and behavior for three veterinary texts (Behavior of Exotic Pets, Clinical Avian Medicine, and Manual of Parrot Behavior), and is a frequent contributor to popular magazines. Her articles appear around the world in eleven languages. 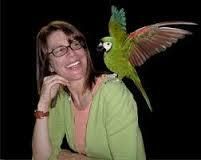 Susan has presented seminars for a wide variety of professional organizations around the world such as the Association of Avian Veterinarians, the European Association of Zoos and Aquaria, Moorpark College Exotic Animal Training and Management program, and NASA’s Goddard Space Flight Center. She has been nominated for the Media Award given by the International Association of Behavior Analysis for her efforts to disseminate to pet owners, veterinarians, animal trainers and zookeepers the essential tools they need to empower and enrich the lives of the animals in their care.